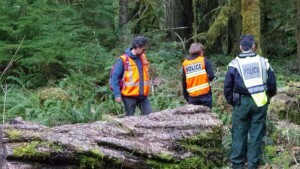 DNA evidence developed by a consortium of experts led by the University of Adelaide was an important element of the government’s case against the timber thieves. 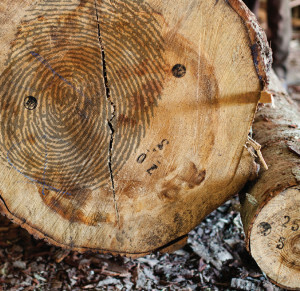 “With this technology, wood buyers can verify whether or not Bigleaf maple has been legally harvested,” says Professor Andrew Lowe, Chair of Conservation Biology at the University of Adelaide, and Chief Scientific Officer of Double Helix. “This project has been a fantastic team effort here at Adelaide and we are all really proud that our work has helped secure such a landmark conviction,” Dr Dormontt says. Timber theft and illegal trade affects a large proportion of the world’s trade in forest products. In the case of Bigleaf maple, an inability to definitively match seized timber back to suspected theft sites have made previous prosecutions difficult. This entry was posted in Conservation Science and Technology, News, Plant Conservation and tagged Andrew Lowe, Eleanor Dormontt, Timber Tracking. Bookmark the permalink.